Starting and finishing at The Springs picnic area on Mt Wellington the Organ Pipes Circuit is a brilliant 8km day hike taking in multiple sites of interest along the eastern face of the mountain, including the impressive dolerite pillars making up the Organ Pipes. The walk follows well formed tracks throughout and is generally flat or on slight gradients. Please note the route directions here are listed clockwise though the circuit can be comfortable completed in either direction. View Google Map Directions From Hobart head west via Davey Street (A6). Keep in the right lane and continue past the turn off to the southern outlet. After 6km turn right onto Pinnacle Road and continue to The Springs. The Organ Pipes Circuit begins from the upper section of The Springs. Leaving from the upper section of The Springs we tackle the only significant climb of the walk first. 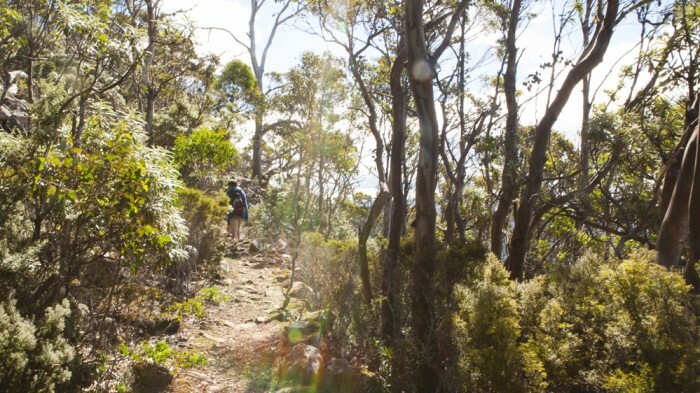 The trail here is well constructed and walking is easy through the lovely mountain bushland. After 2km of gradual climbing we make it to the ZigZag Track/Organ Pipes junction. Continuing right, the trail evens out and for the next 3km and is mostly flat. 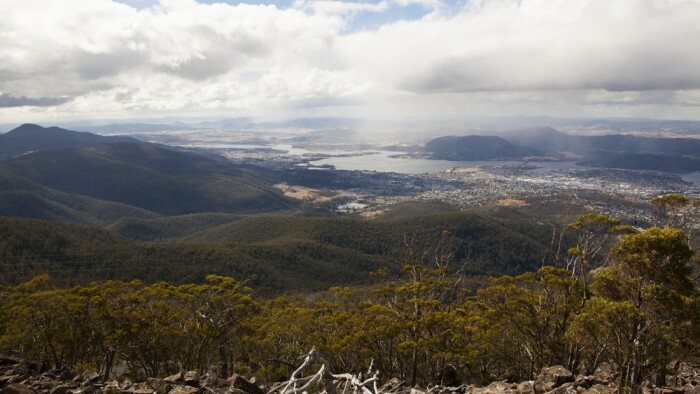 This section of the track is the most picturesque with occasional breaks in the tree line providing magnificent views of Hobart and the Derwent River. As we continue further the tremendous pillars that make up the Organ Pipes come into view. Throughout this section there are a number of side trails only recommended for experienced hikers leading up to Pipes themselves; a worthy side trip. Continuing past the Organ Pipes the trail meets the Chalet on Pinnacle Drive after passing 2 rock spree sections. The trail then crosses the road and heads downhill to Junction Cabin. The climb down from the Chalet is the steepest descent of the days walking and requires some care. For the next 1km the trail snakes down the mountainside before reaching the Old Hobartian Track junction. It is important not to miss this turn off to the right; otherwise you will be destined for Lenah Valley. From here the trail gradient lessens and walking is easy going aside from a series of small rock screes. A large outcrop which makes up Crocodile Rock is seen to the right just before we reach Junction Cabin. We then head home via the Lenah Valley Track to The Springs. The trail is well formed and gently graded. 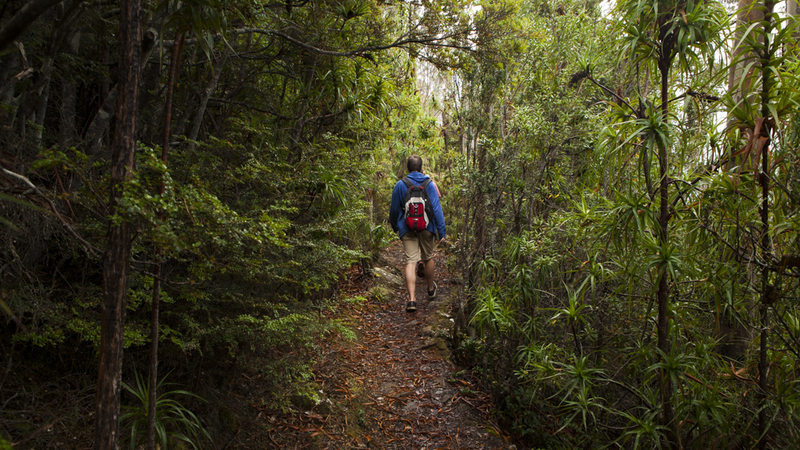 Shortly after joining this track a short diversion downhill leads to Lone Cabin, a small but comfortable hut nestled within lovely rainforest surroundings. As we continue along the Lenah Valley track another cabin is passed before reaching Sphinx Rock. From here vast panoramic views of Hobart are again on offer. The car park is reached 15 minutes later.